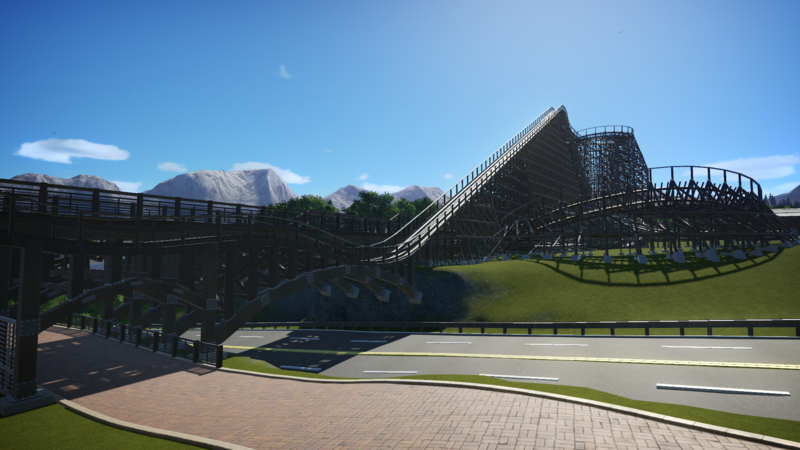 Arctic hills was my submission to the Sub-zero competition, it sadly didn't make it into the live stream but i still wanted to show it off. so far i made a quick video of the water show in the park. more videos will come showing of the rest. 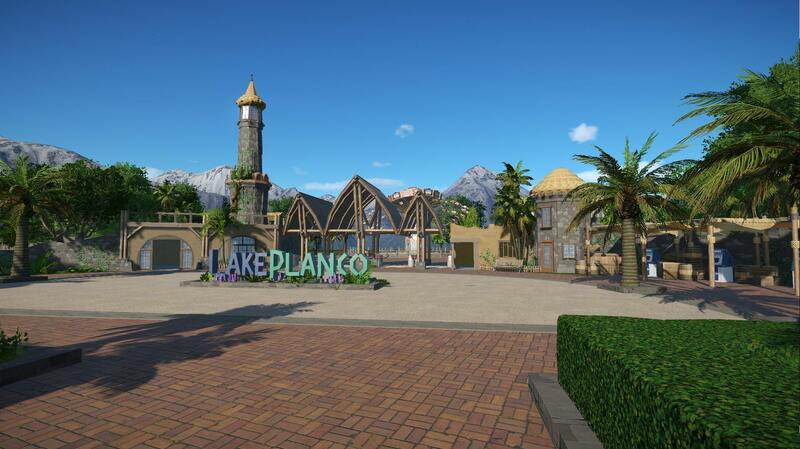 lake planco is already on pause and started the Christmas park! 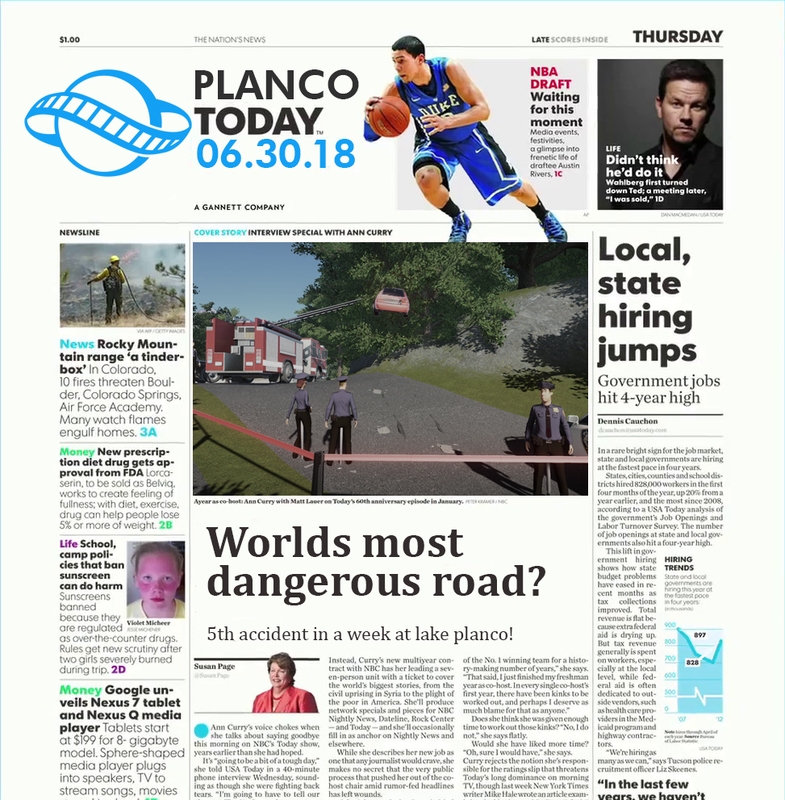 hello guys welcome to my first update on lake planco! 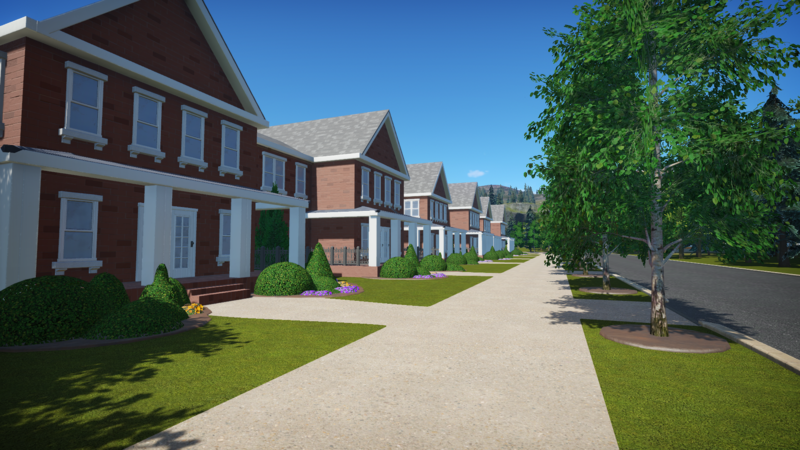 my name is Pieter and I live in a newly build district in lake planco. this district was built as a part of a bigger plan to make our little town great again! there where many phases and my house was the first one. 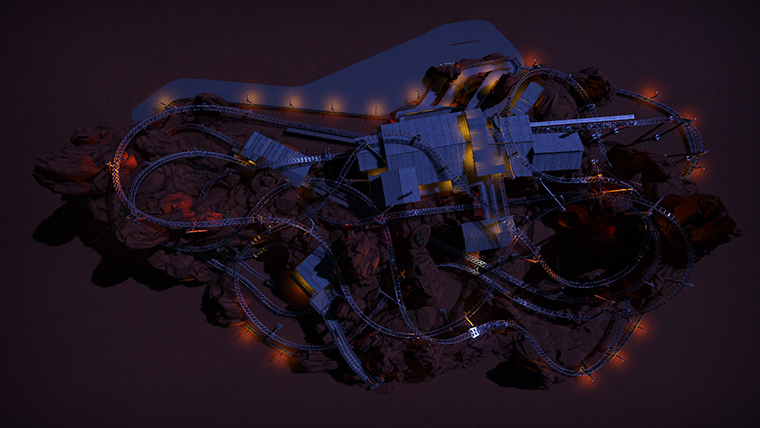 the second one was to build a theme park on the area of the old ice ring that went bankrupt 2 years ago. they build an entrance and from some views you could even see a chair swing being tested. sadly the theme park never opened, it never was more than an entrance. the company building the park suffered with financial problems and went out of business 4 months into the project. 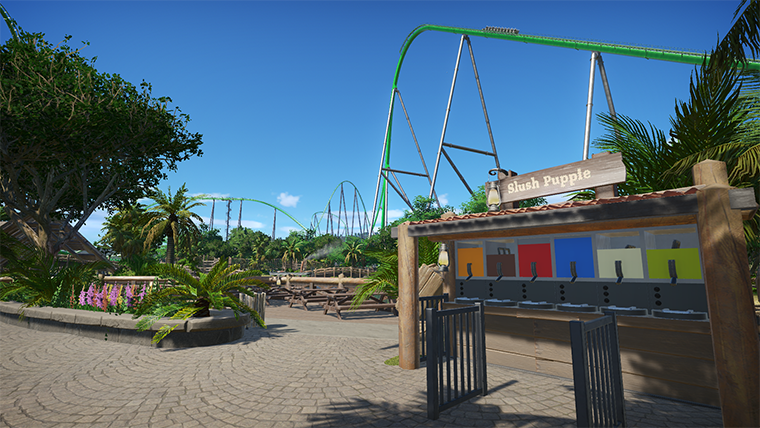 but nothing was lost, a second company started continuing the project and our problems seemed to be over, but switching between the two company's caused for serious delays and after 7 months the park was already over budget. none of the investors where interested in spending more money in something the entire town didn't even believe in any more. so the theme park was cancelled. and because the project had costed so much money the next 5 phases of the plans for the town where also scrapped from the planning. so after all this sad news I hear you thinking why am I even reading this, well I have good news! the area of the old them park has been bought including the areas around it. rick's trailer park has also been bought by the company. 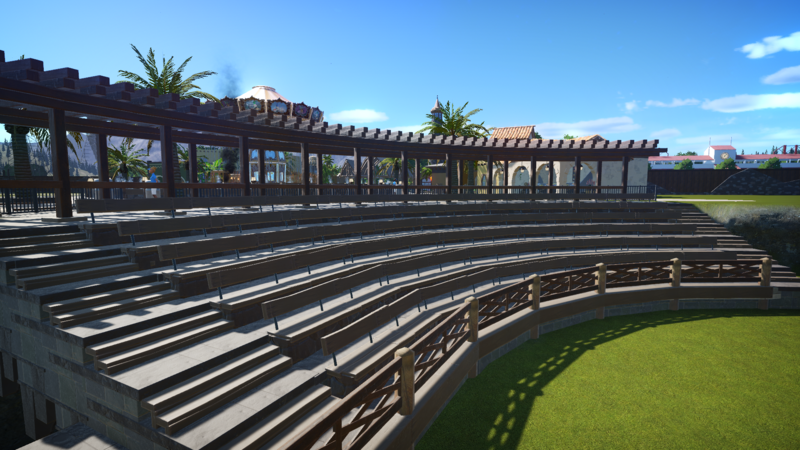 so they have this new massive area, and what are they going to do with it. 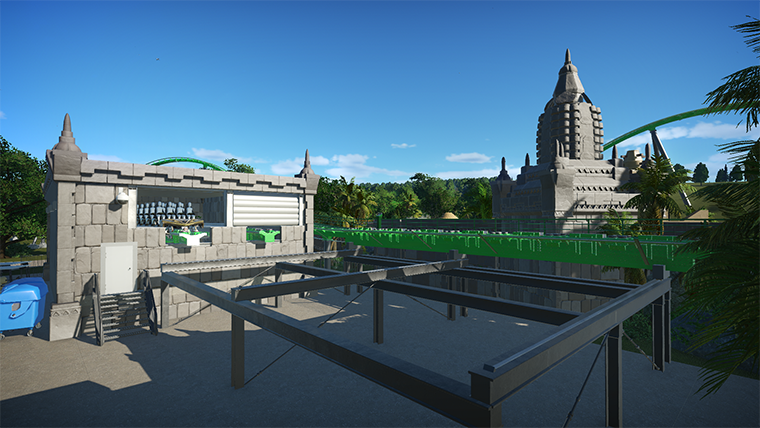 they’re going to build the third instalment of bush gardens right next to my town. this was just announced 2 month ago, there was a meeting with the sea world Parks & entertainments group about the project but they didn't give away much. 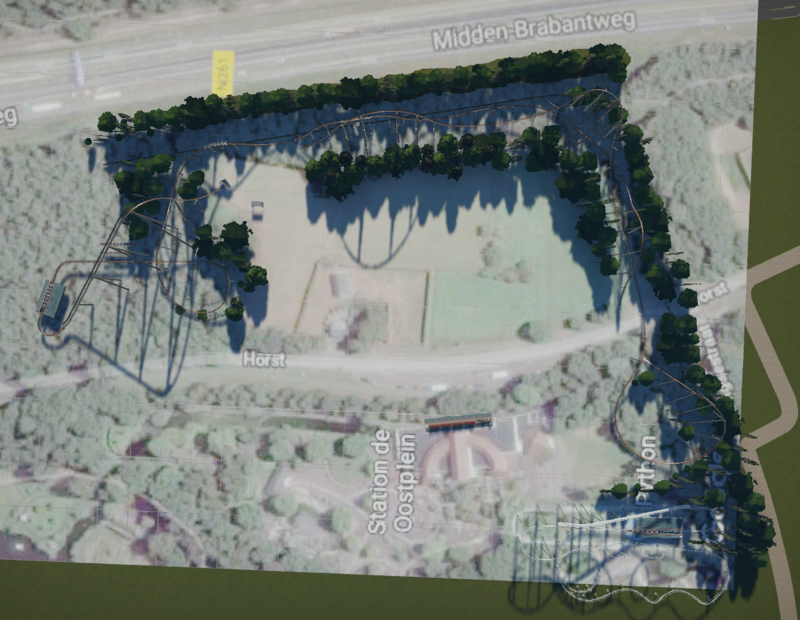 the main aspects where that it will be a nature park so the will try to keep most of the nature intact, as well as the parking lot witch will not be concrete but grass. but other than that we don't know anything jet, no name, size, attractions or a theme. 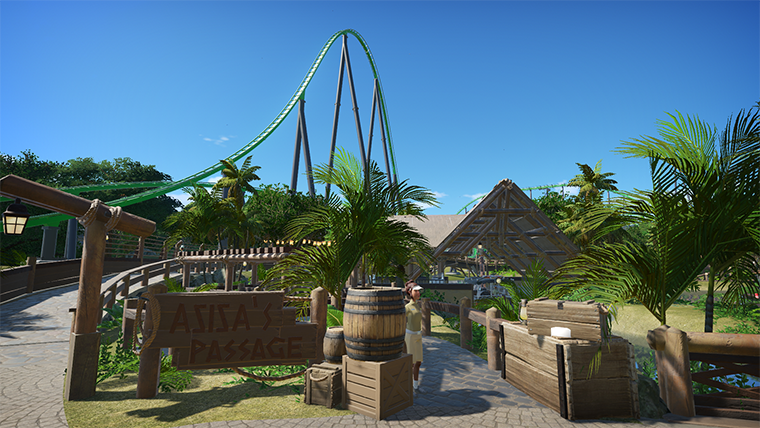 the only thing I know as a theme park enthusiast is that it is going to be awesome. here are some pictures of what is happening now. 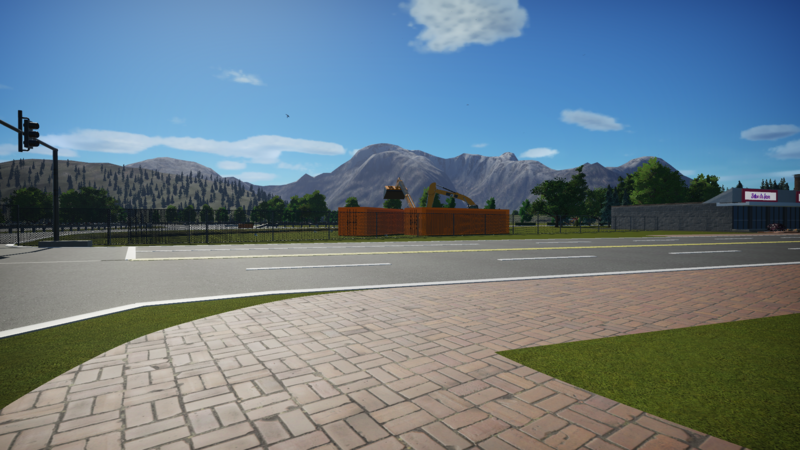 the local gas stations has been demolished, but will be build back on the other side. 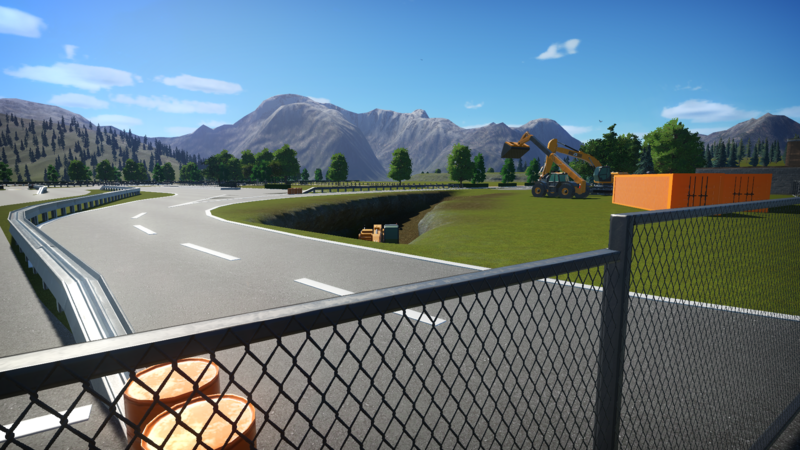 it had to make room for the new tunnel they build to go under the main intersection of our town. To help with throughput of traffic to. 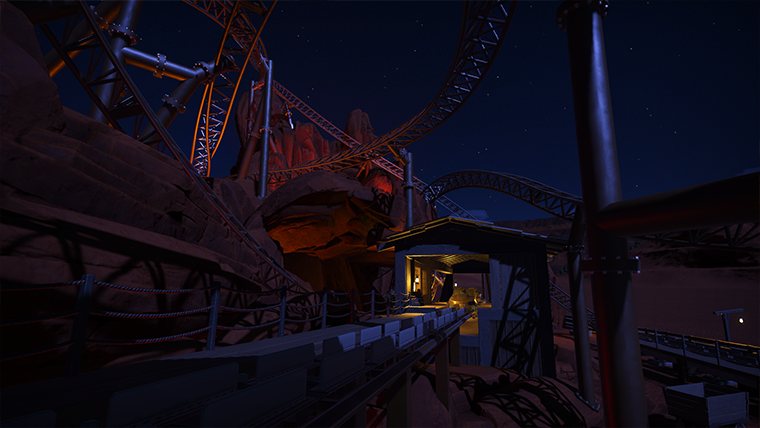 and in the back you can get some glimpse of the new parking lot witch is going to be enormous. here you can see the other side of the tunnel. you can also see that our main road has been completely blocked of by covers, we need to drive around it now witch takes around 10 minutes longer so its oke. if you look closely you can see some woodwork sticking out of the covers, they are trying really hard to not give anything away about what is happening but form what I’m seeing I think it’s a wooden roller coaster. So that is the first quick update I hope I can give you more information and pictures next time. And now for the real part. This is a modified version of lake planco, the scenario of the summer competition in witch I competed for one round and then my computer broke. Now I’ve changed the map with some new houses and a more realistic road network (I’m still working on this but trying to hide the ugly bits!). 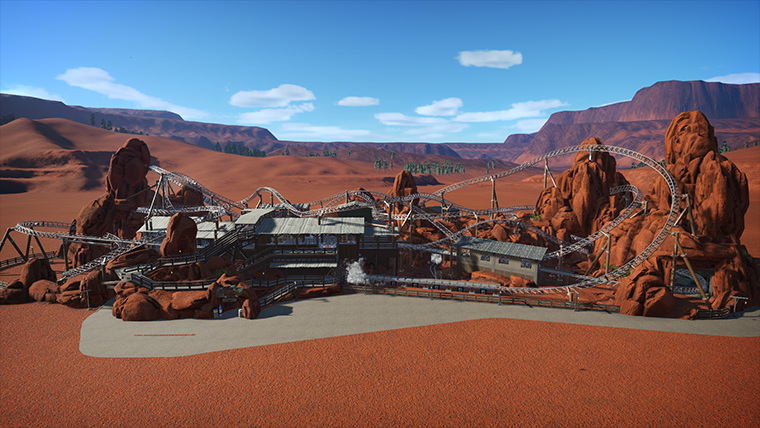 When I first saw the map I imminently had an idea in my head but because of the rules I couldn’t really follow that plan, so with this new take I hope to build the park that I originally had in mind. 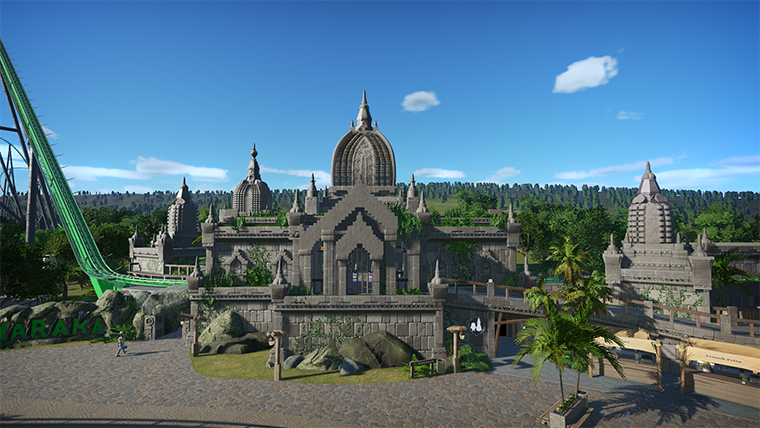 I also really enjoyed the story telling of nemmie’s park and wanted to give it a try. Witch also acts as a good English lesson I guess. thanks for the nice words bullethead! BTW, what does "Chatan" mean here? You have some sort of bird in the logo but I couldn't google up anything relating to birds. Chatan is a native american name with the meaning hawk. Took a bit of time but here you go Bullethead! Stories tell that the dutchmen’s mine was the most profitable mine to ever be build the ground was so full of gold and silver it kept expanding. But the longer the mine operated the more it became clear it came with a price. Strange events started to happen following in the mysterious death of the mine baron and its miners. The ones that managed to survive could only speak of one name: Chatan. The mines are long abandoned now but legends say that the spirit of Chatan still roams the grounds of Dutchmen’s mine. A mysterious temple was found in the wilderness of Aguada. The main entrances where sealed off, the only way in was a nearby located cave that seemed to lead into the temple. The further they went into the temple strange things started to happen. Their equipment started picking up weird forms of energy that lead them even further into the cave, but the source has not yet been found. 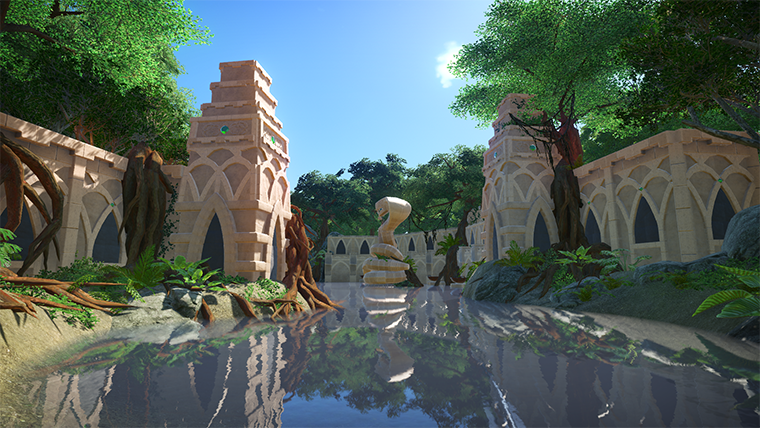 Can you discover the mysteries of Haraka? Little creatures roam around in this part of the forest, legends see they provide hunters with good magic. But where does this legend come from? What is the magic hiding in these woods? 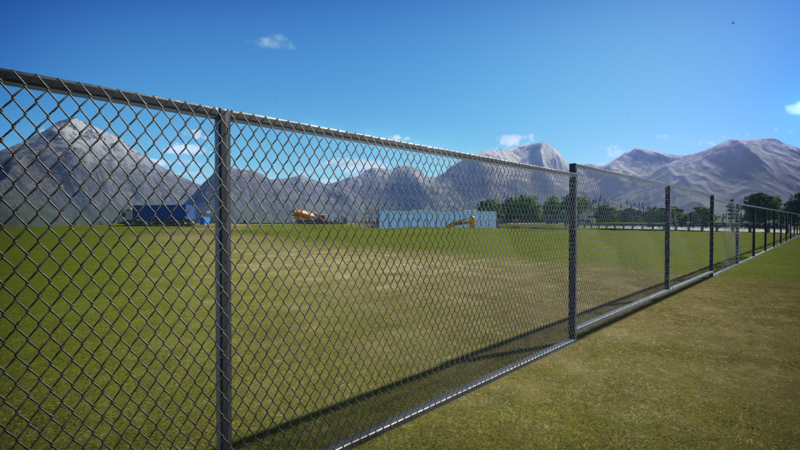 this looks amazing, I absolutely love the look of the broken down fences, and the tree looks very nice as well. 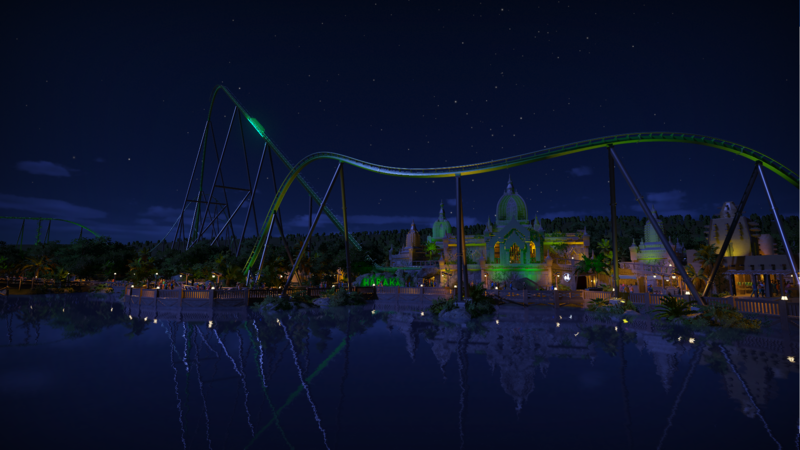 the coaster looks good as well only cant say anything about the layout because i cant see it. 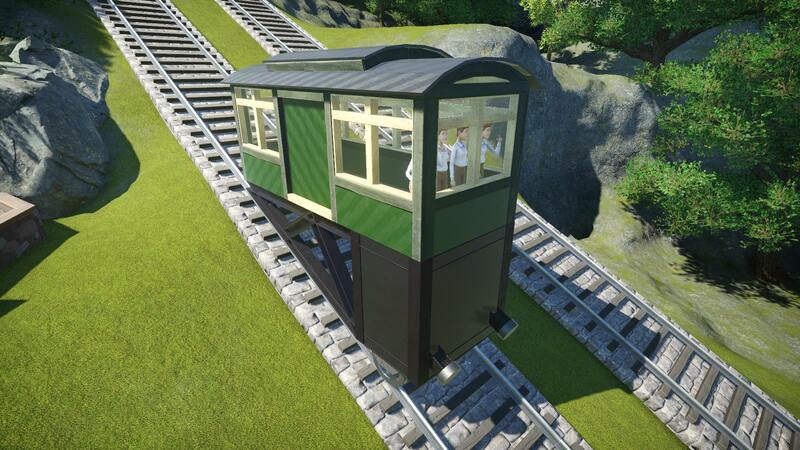 the sort of tilted inverted tophat looks very interesting at least. I also like that you edited the pictures, makes it look just a little bit spookier . where did you get those people from? 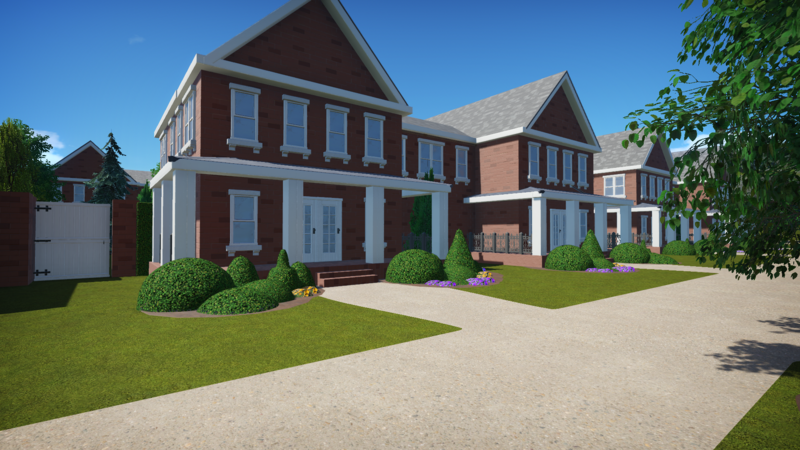 A preview of the project I've been working on for the past 8 months. i can finally say that its almost complete! 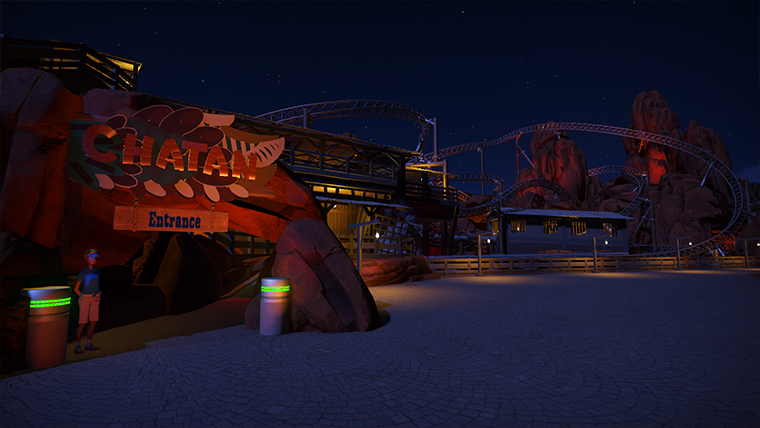 Community Chat / Re: Show your park entrances! 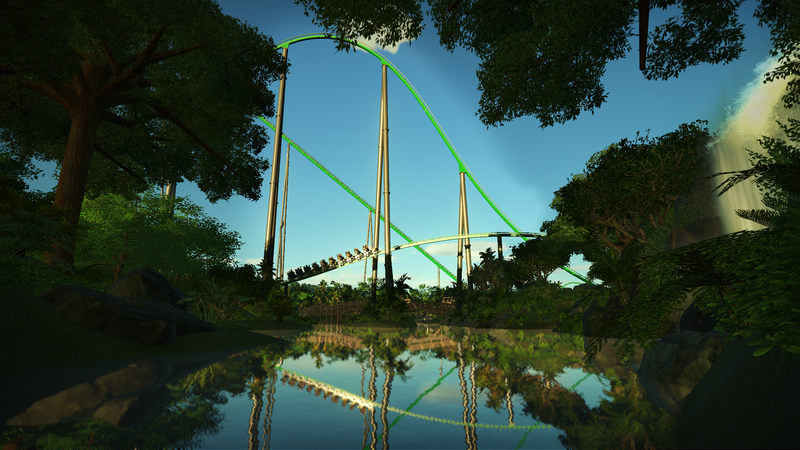 I use it every time i check out the website, I personally think its nice to have an overview of all the post from different forums that are active at the moment. Actually, Pietrix008, I had no idea that your first entry was from an existing park. 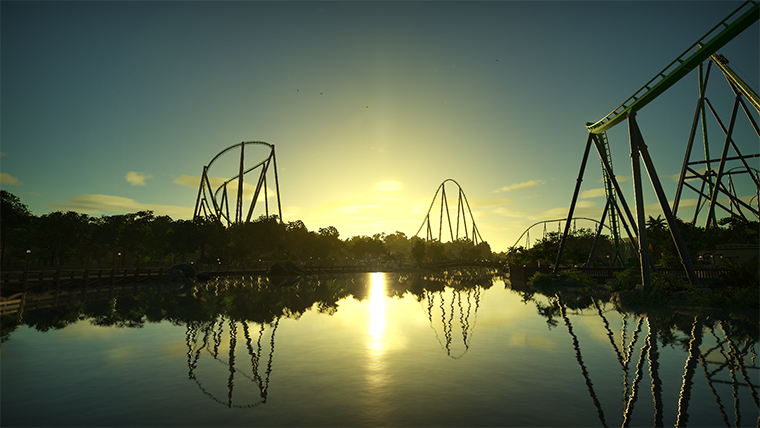 You may have used some images from your park, but the way you made a silhouette collage of several elements hardly qualifies as "simply taking a screenshot and adding a caption." I, personally, would say that your first entry DOES qualify as an entry because of the enormous amount of creativity you put into it. Unless the other entrants object, I am allowing your first entry for submission. 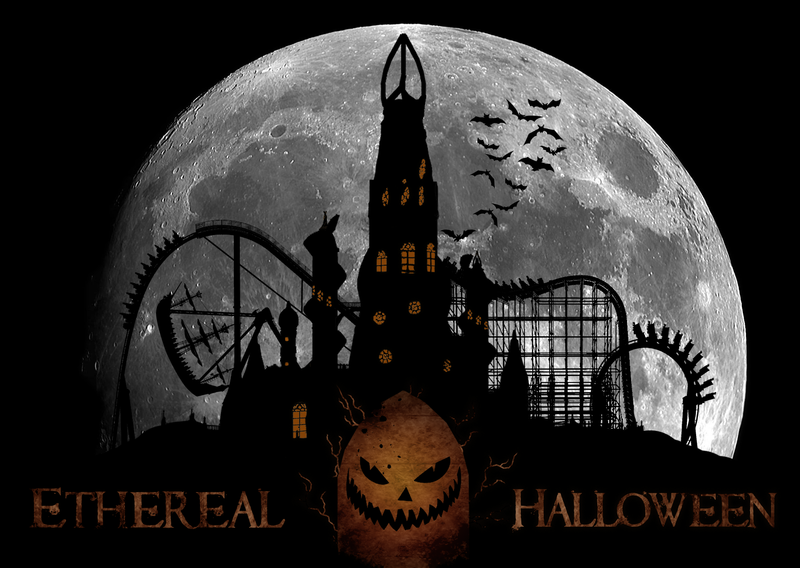 Ethereal has also started to prepare for the Halloween season, do you dare too come this year? I love that show! Creating a descent show with the display sequencers takes a lot of work and effort. And you nailed it! indeed, i have an whole list of things i would like to change about the display sequencer. 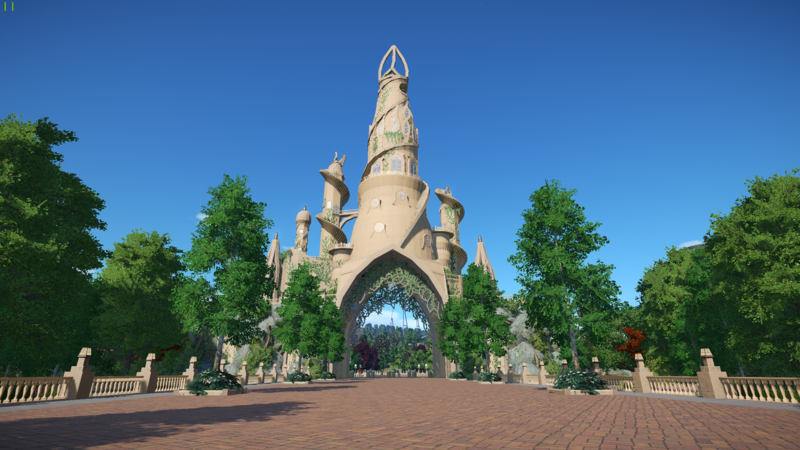 So this is a little late but i would still like to show of the main show of my park Ethereal. it takes place at the entrance of the park and has 1543 waterspouts, 696 lights and some fireworks to create the effects. It took me around 70 or more hours to create so I hope you like it! 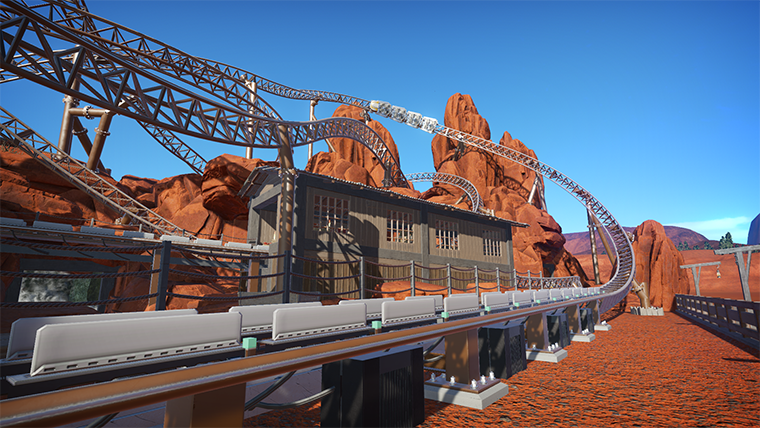 The funicular, the water slide, the theater, and the coaster bridge look awesome. 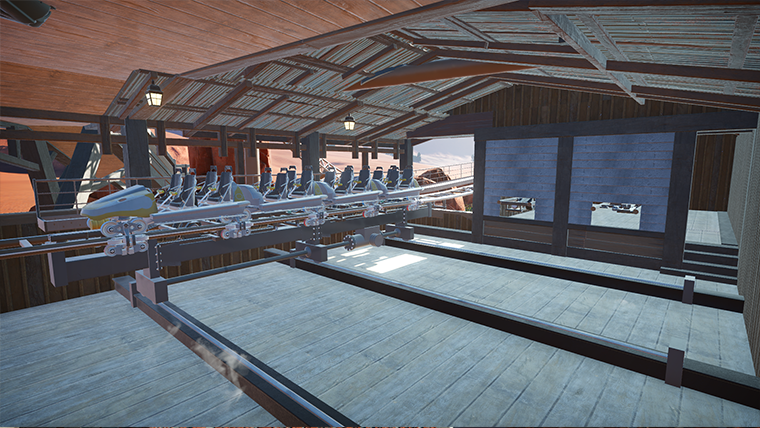 And that spiral drop on the wooden coaster looks highly fun (so I need a POV!). 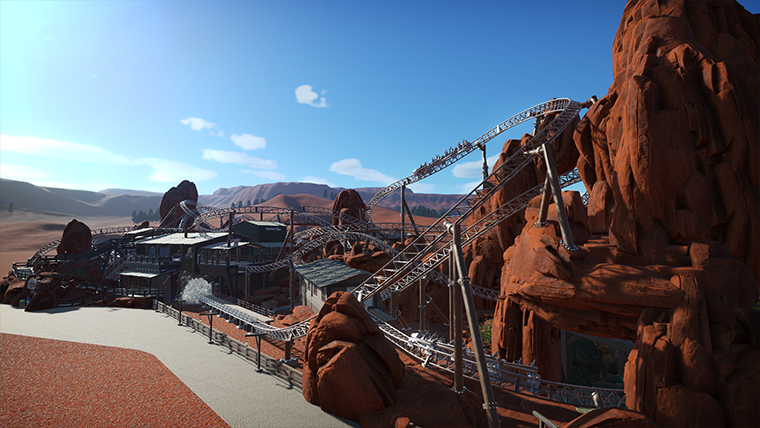 Really cool you are still working on it, I second Bullethead in saying I hope you continue it in it's own Park thread so I can follow it along. I really like your bridge and I love your entrance way. It was really awesome and I think we will see great things when you continue! 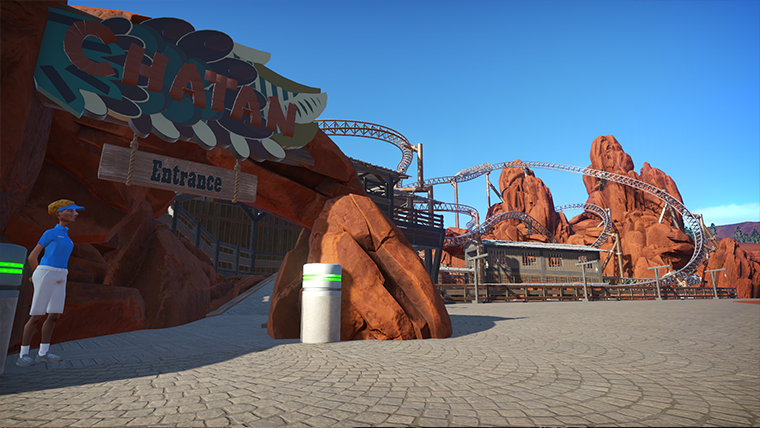 i'm planning to make a lot of different adventure themes so the entrance has its own theme and will probably have a ride or 2 added, the wooden coaster will have a western theme. for the other themes i don't know yet so any suggestions are welcome. @Pietrix: GOOD to see you again! I hope your absence hasn't been due a personal tragedy. Those have been too common around here this summer. Anyway, I really like what you're doing here and hope you continue it in a park thread. 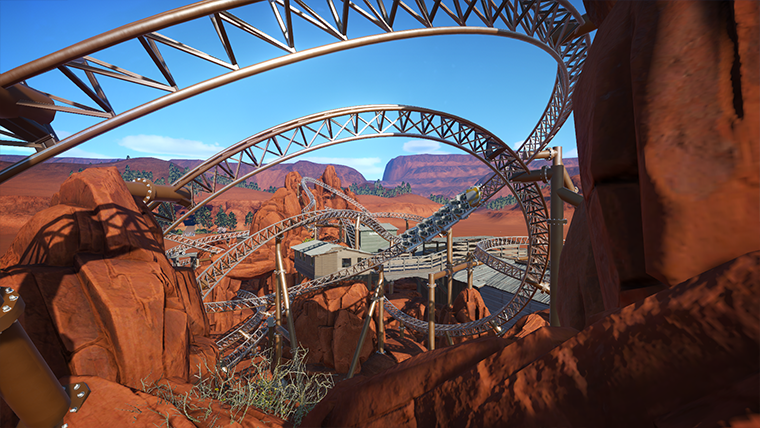 The funicular, the water slide, the theater, and the coaster bridge look awesome. 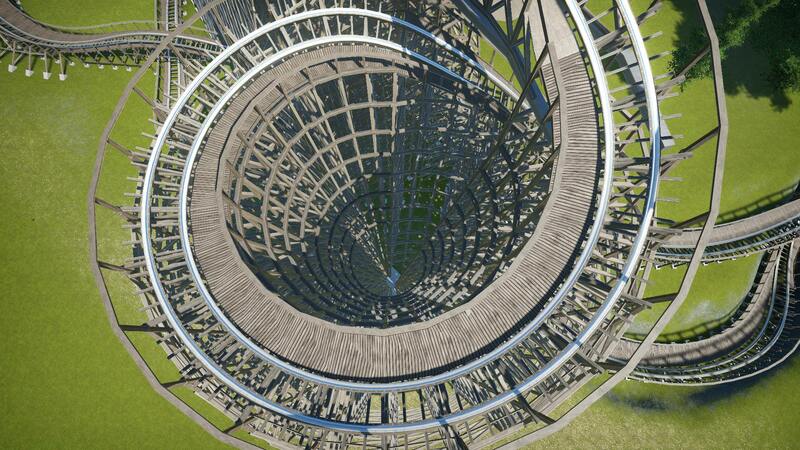 And that spiral drop on the wooden coaster looks highly fun (so I need a POV!). Nifty trick hiding a ride under the theater to move peeps through it, too. But I was really LOL over that newspaper . i'm back! i manged to fix my computer but with the backlog of two challenges i kind of gave up on competing. 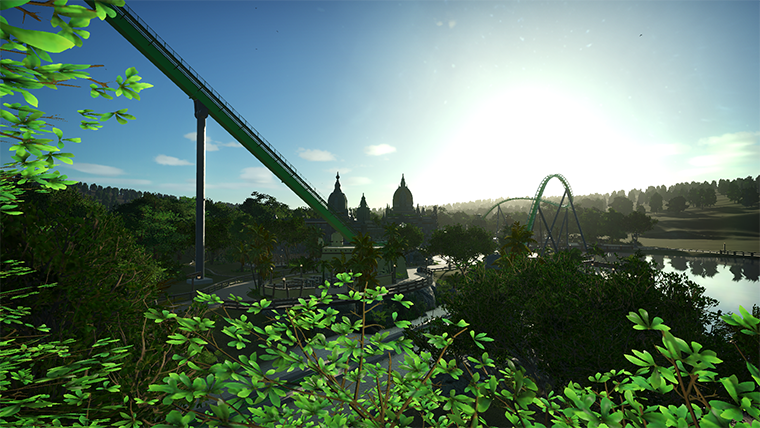 but i couldn't really let the park go, so about two weeks ago i started slowly working on it again as my own project. Its not much but with the competition ending i would still like to show what I have done. I tried to still play by the rules but i did break some just for realism aspects. 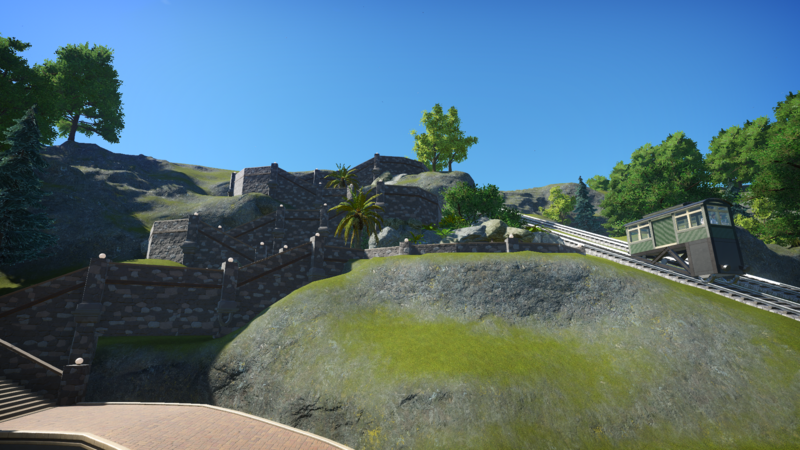 the way down, a way to long staircase, so there is a mountain train to make it a little easier. 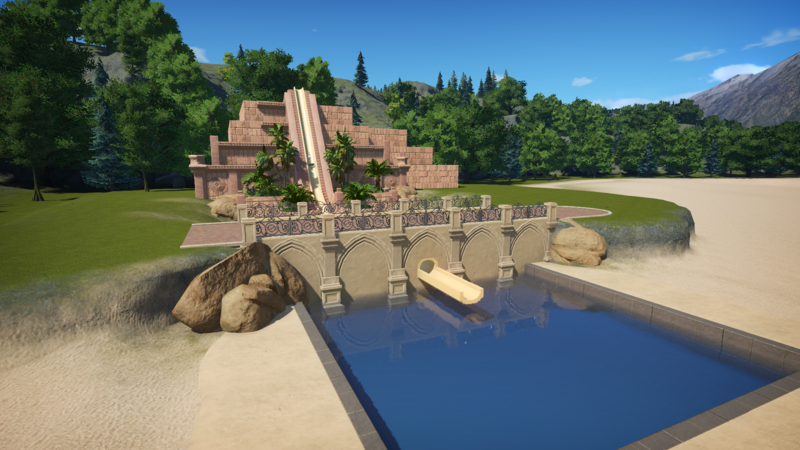 at the beach area i had the idea to build a water park, this is the start of the first slide and theming of the waterpark. 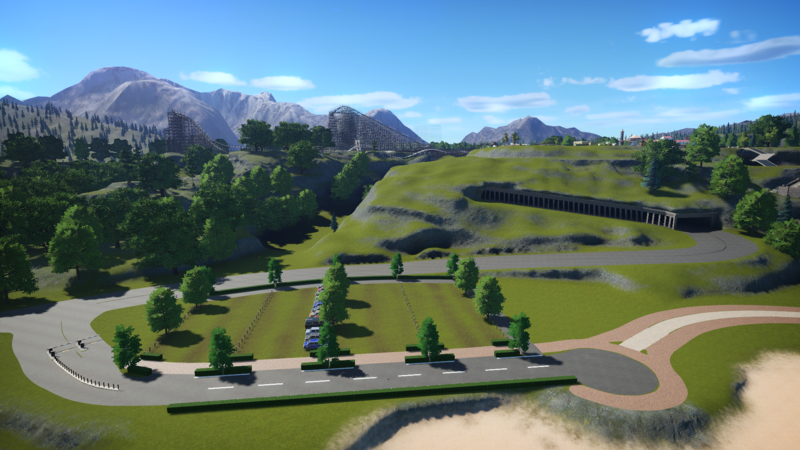 a little parking lot for the beach area and some of the changes i made to the road. the village had to change the road, because of the massive increase of traffic the old road was too dangerous! 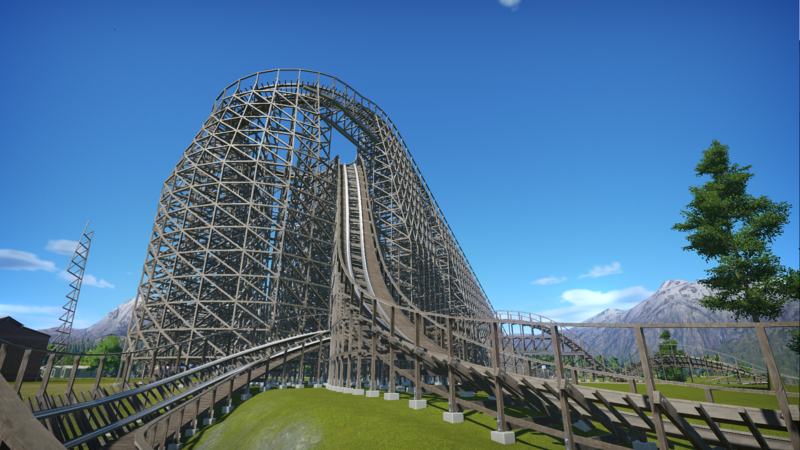 i also stared on a custom supported GCI wooden roller coaster that crosses the road. 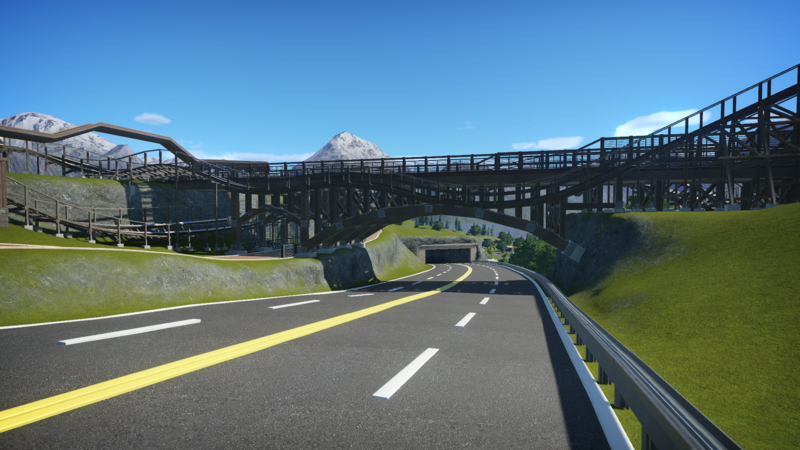 a better look of the bridge and more changes i made too the road. 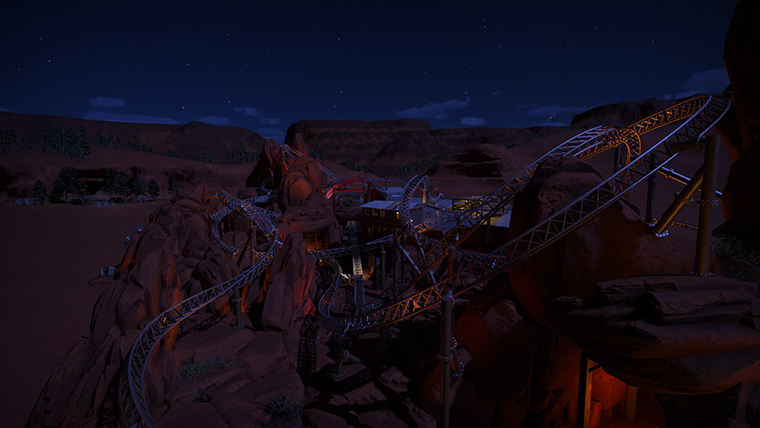 not only the coaster but also a path crosses the road with this bridge so expansion on the other side is an option. 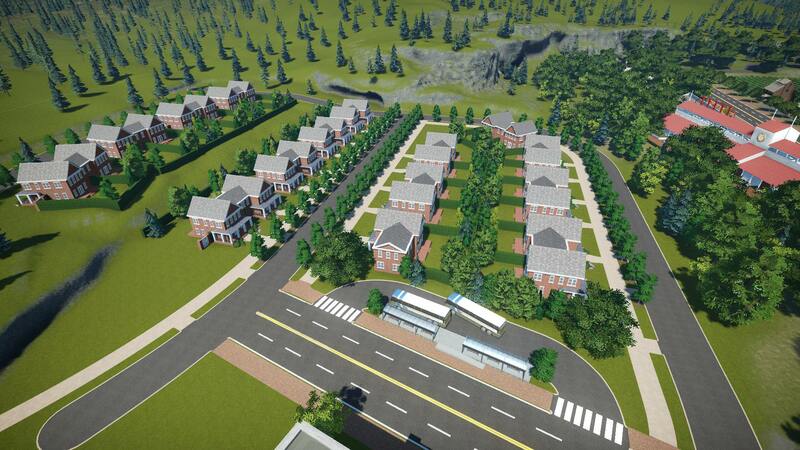 the village is growing and has started a new district to attract more people. 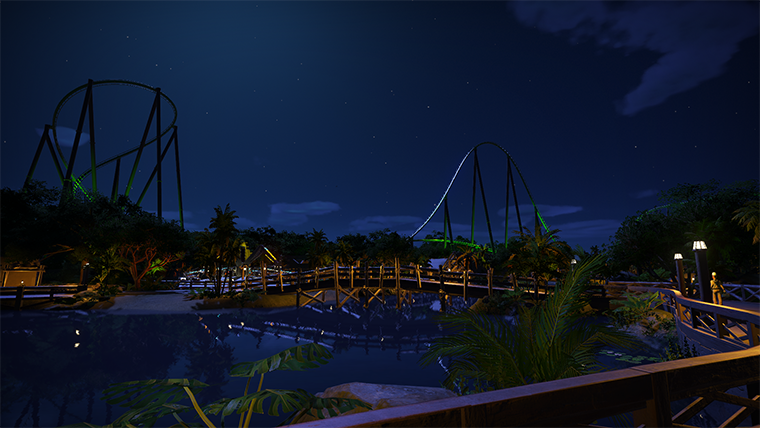 I hope you guys like what you see and props too every one who did actually finish the contest. all the entry's look great in there own way. 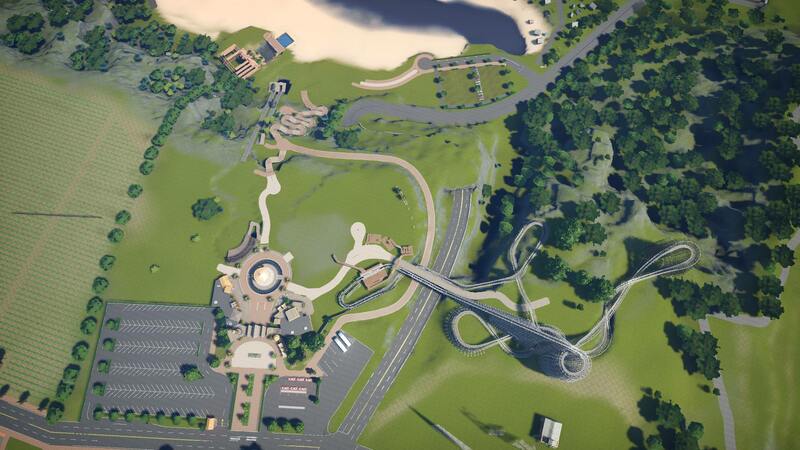 i'm defenitly going to check out everyone's park! 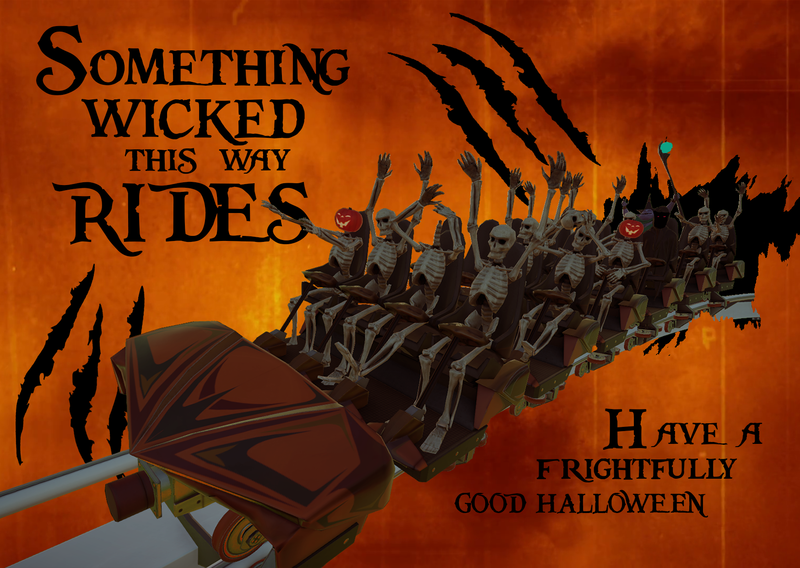 Great layout, nice theming and even a little background story. Love it! 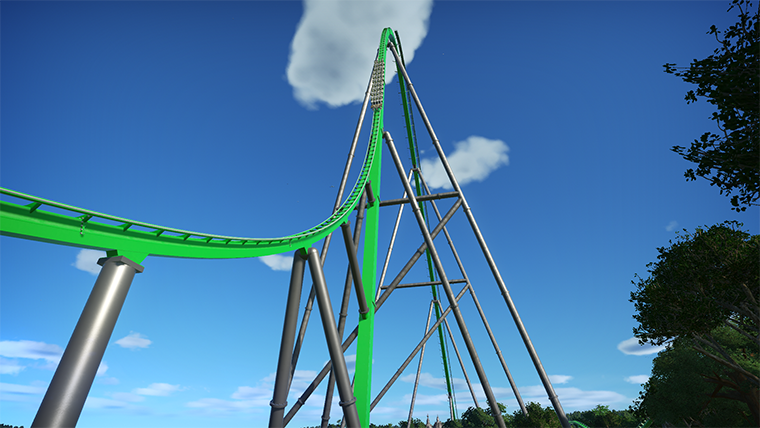 did you use the 4m technique cause it looks pretty smooth for such small turns? 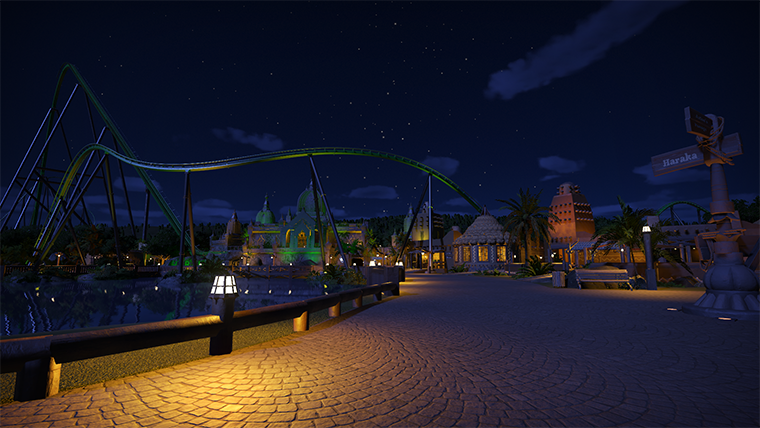 A view i love from my B&M Giga project! "Create an access route to the beach that leads from the parking lot, down to the beach." 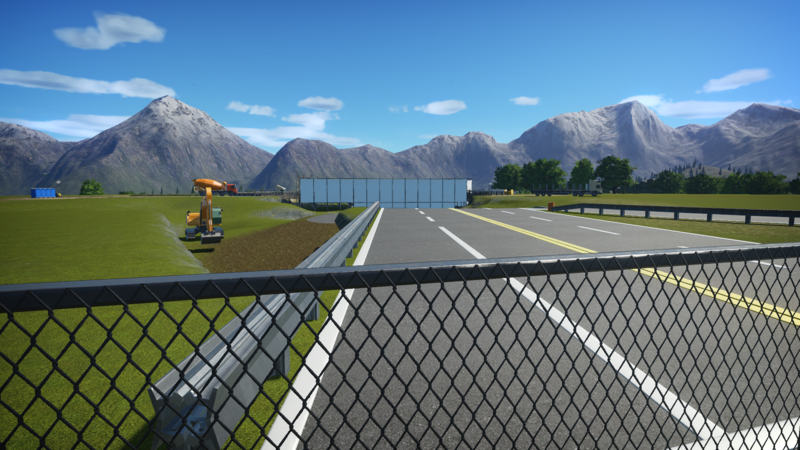 is this route a part of the park or should it be accessible without going trough the park entrance?